Thanks to SQL Server blogger Mr. Denny right here on ITKE, I have a great trick to share with readers who want to upgrade their Windows 8 Release Preview installs to the latest RTM version now available through MSDN, TechNet, and other sources. This blog post of his is entitled “Upgrading Windows RP to RTM” and covers the complete set of actions required to achieve this eminently laudable goal, step-by-step. Apparently, the whole exercise hinges on the contents of a file named cversion.ini that resides in the <drv>:\sources\ directory (where <drv> is the drive letter for the UFD onto which you’ve unpacked the Windows 8 RTM install ISO image). I’m guessing that the number that appears in this file usually matches up to whatever release number attaches to the version of Windows installed on your PC. For Windows 8 Release Preview that’s 8508.0. 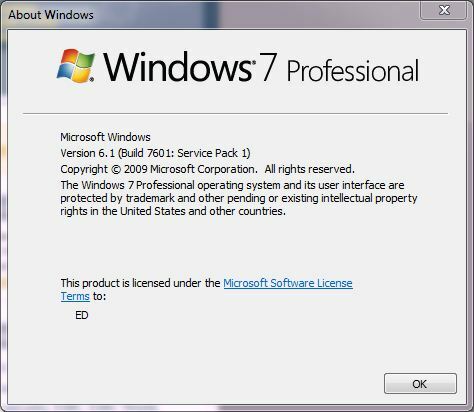 But by changing the number to 7100.0 (a number that corresponds to a version of Windows 7 , though my Windows 7 with SP 1 installed shows up as 7601 when I run the winver command) you can fool the installer into performing an upgrade install to bring your version up to the RTM version without demur. Fantastic! Having been out on vacation this past week with family, I plan to try this out later today, as soon as I finish downloading the latest Windows 8 RTM ISO from MDSN. [Note: Copy added 12:14 PM CST Tuesday 8/21/2012]I’m installing the new OS right now. Without editing the cversion.ini file on the install UFD, I couldn’t access the upgrade option on my Lenovo X220 Tablet. But after editing the UFD as Mr. Denny suggested, the upgrade install is steaming along on that machine quite happily right now. When it finished, I’ll do the same for my home-built i7-2700K desktop and see how that works. Tomorrow, I’ll blog about my upgrade experiences. Stay tuned!